Are you planning a wedding in St Petersburg? You've certainly picked a great place to plan your wedding! With romantic beaches and great weather, St Petersburg is every wedding planners dream. You can't go wrong with a wedding in St Petersburg, and you can't go wrong with a party bus as your mode of wedding day transportation. 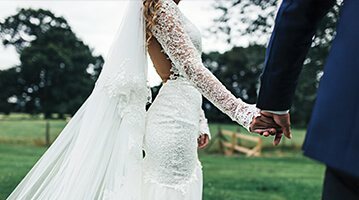 You can trust St Petersburg Party Bus to bring you the best wedding day transportation with our years of experience, professional chauffeurs, and attention to detail. Your wedding day will be a dream come true with a party bus in St Petersburg. 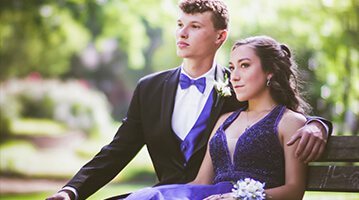 Are you in charge of dealing with transportation for your son or daughters next school dance? If so, make the smartest decision out there with a party bus rental. After all, we've all heard the horror stories of teens drinking and driving during these party times, and you want to keep your child as safe as possible. You can rest at ease knowing your son or daughter is in one of the safest vehicles in Florida, with a true professional behind the wheel. There's nothing better than knowing your child is safe, so enjoy your quiet night at home while they have a great time. It's time to plan your bachelor or bachelorette party, and we know you're excited! That's because this is a once in a lifetime event, and it should be planned carefully to ensure you have the best possible St Petersburg bachelor or bachelorette party. With a party bus rental, everything you'll need for your celebration will be right in the bus, including stripper poles, neon lighting, ice filled bar areas, hardwood dancing floors, comfortable leather seating, an iPod capable sound system, and much more. You're guaranteed to have the time of your life with a party bus rental! 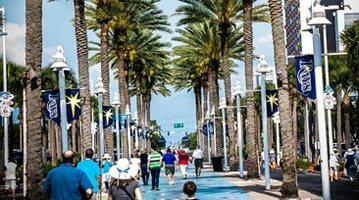 Are you new to the St Petersburg area? We have the perfect solution for you when it comes to getting acquainted with the city! Have you considered a party bus rental for a tour of the city? After all, our professional chauffeurs know all of the popular tourist attractions in the area, and exactly how to get to them. They even know of all of the best restaurants and shopping centers, so your trip is sure to include everything that's great about St Petersburg. You can sip drinks and relax into the comfortable leather seating while you view St Petersburg like a celebrity! Concerts and sporting events are certainly some of the finer things in life. After all, nothing gets your blood pumping quite like the excitement of an upcoming concert or sports game in St Petersburg! Whether you're a fan of the Buccaneers, Lighting, or the Rays, you will benefit from a party bus rental. 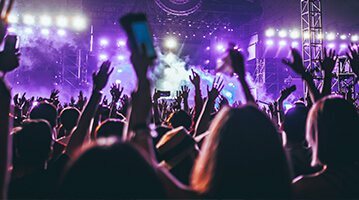 There's nothing quite like the promise of a designated driver, and comfort of a luxury vehicle to take your concert experience to the next level entirely. Best of all, you won't be the one dealing with traffic, so it's bound to be an amazing experience, no matter which way you look at it! Give you and your friends an unforgettable night out on the town!